A U.S. judge has denied Apple’s request for a permanent sales ban in a patent infringement lawsuit against Samsung in California. 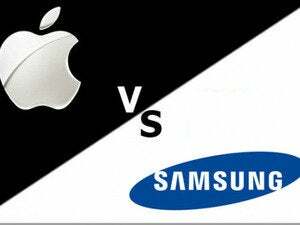 Apple had asked the court to block Samsung from selling phones and tablets that include patented technologies that a jury found Samsung infringed earlier this year. But in her order Wednesday, Judge Lucy Koh of the federal district court in San Jose, California, said Apple failed to show it suffered “irreparable harm” as a result of Samsung’s actions. “Apple has not established that it suffered significant harm in the form of either lost sales or reputational injury,” Koh wrote. Moreover, she said, Apple hasn’t shown that the harm it suffered was a direct result of the infringement. It’s another setback for Apple in a high-profile lawsuit that has failed to provide the returns it was looking for. In May, a jury at the San Jose court awarded it just $119.65 million in damages for Samsung’s infringement, while Apple had been seeking $2.2 billion. Both companies have challenged parts of the verdict. The patents at issue in the case include the so-called “slide to unlock” patent and the “auto correct” patent, which covers technology for fixing words as they’re typed. The Samsung devices accused of infringement include its Galaxy Nexus smartphone. Since the May verdict, Apple and Samsung have agreed to a settlement of their disputes outside the U.S., which included lawsuits in nine countries. Their battles in the U.S. continue.